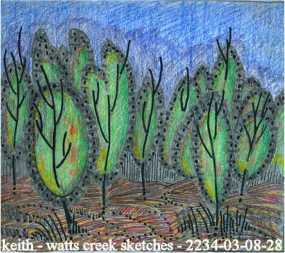 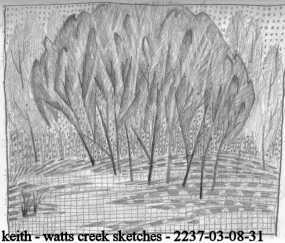 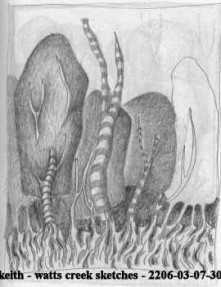 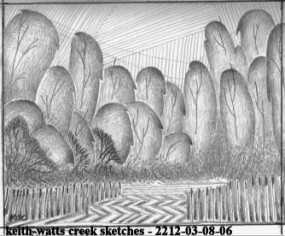 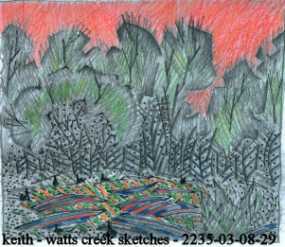 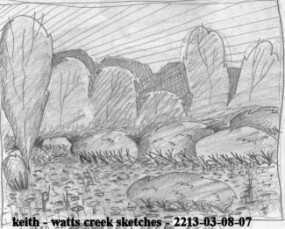 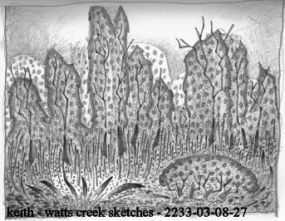 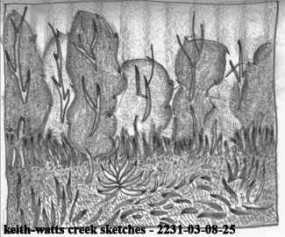 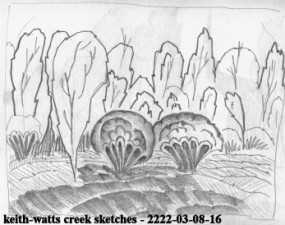 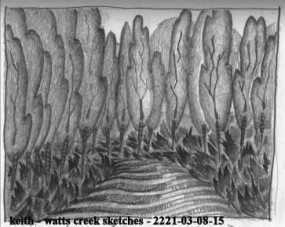 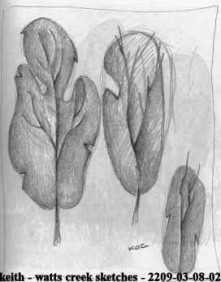 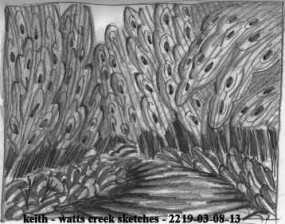 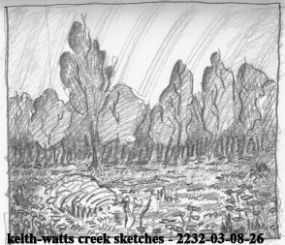 This section consolidates my watts creek exploritory sketches into one reference document. 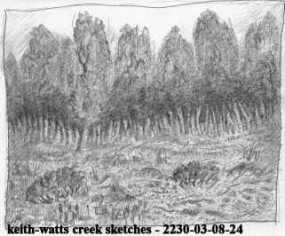 The Watts Creek trails wander through a non picturesque area. 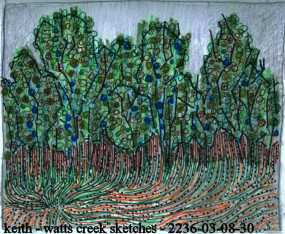 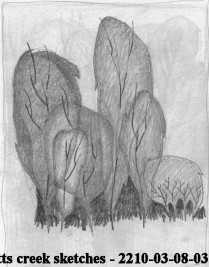 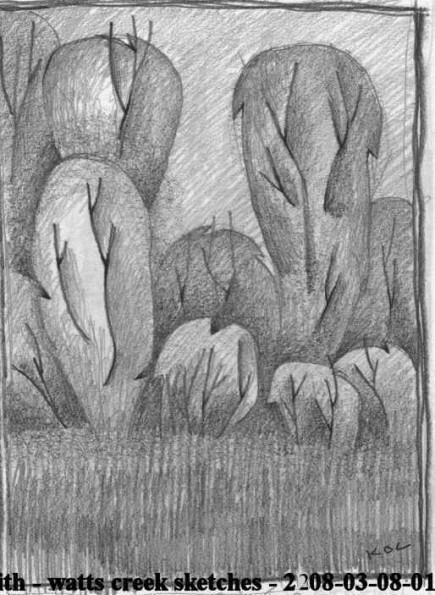 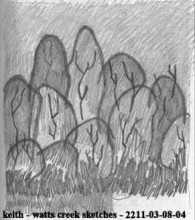 My desire is to find interest and beauty in a non picturesque scrub-brush landscape much like the early 20th century painters found interest and beauty in the poor urban landscape.